Are you looking for more programs and services to offer your clients that offers results! Results not only for your client but also results to the bottom line of your business. 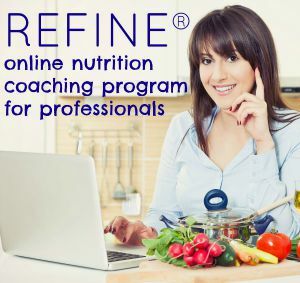 A 10 week online nutrition course, REFINE®, customized and branded for your business! A complete done for you online coaching program, ready to be customized with your personal touch! 10 week online nutrition coaching program created to generate revenue for your business. Weekly lessons and daily emails already created for you! A different theme each week of how to educate and inspire participants . Ways to interact with participants that keep you engaged, but does not require hours of time on the computer! Daily emails created and ready to be delivered into your all sent to your Mail Chimp. All content can be customized and personalized for your audience.